I am a big fan of the Starbucks caramel apple spice. When the weather turns cold, I just can’t get enough of it. 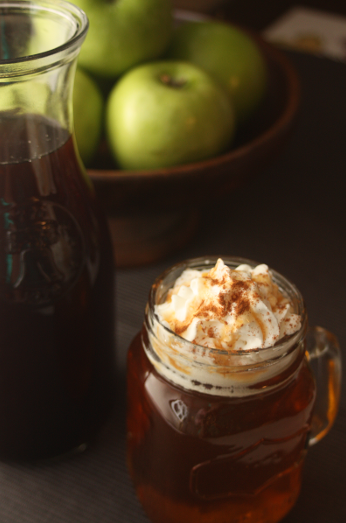 But daily trips to Starbucks don’t help me stick to our budget, so I just whip up a batch of this syrup, keep it in the fridge, and enjoy as much as I want! Combine all the ingredients in a medium sauce pan. You’ll notice it get a little thicker as it boils. Remove it from the heat. Now you have about a liter of syrup. Heat 12oz of apple juice in the microwave (it takes about 1:30 in my microwave, but I feel like they vary pretty widely so just figure out what works for yours). 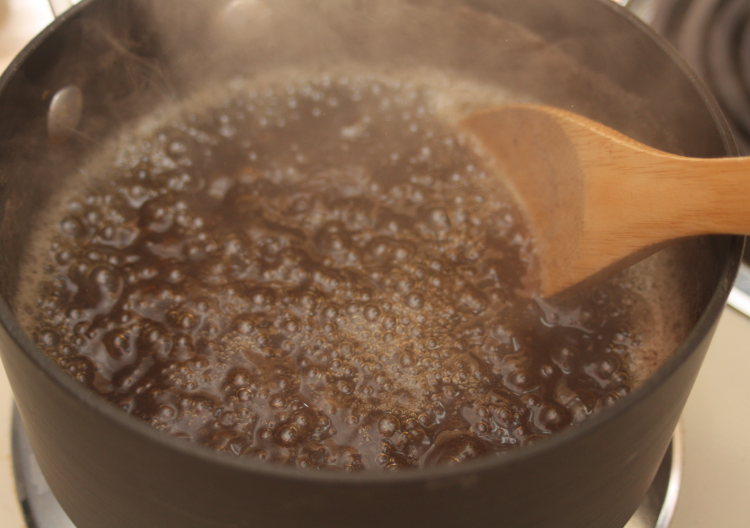 Then add 1/4 cup of the syrup to your apple juice & stir. 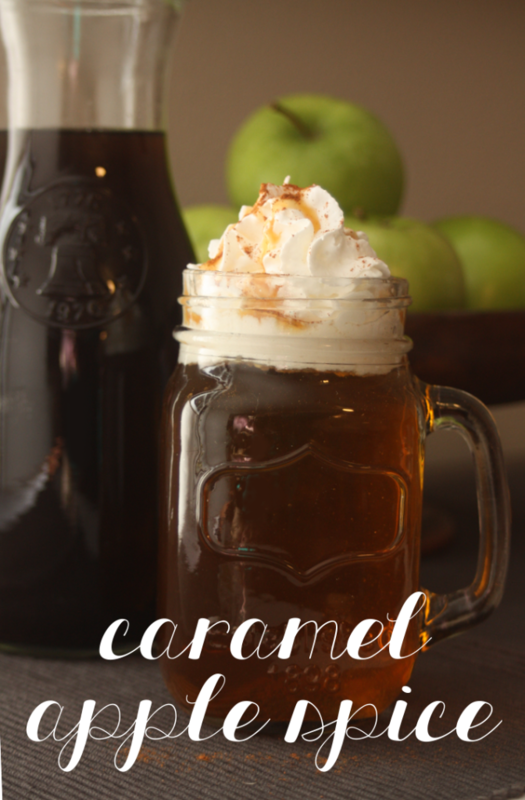 Add a little whipped cream and caramel to the top (if that’s how you roll) and enjoy! 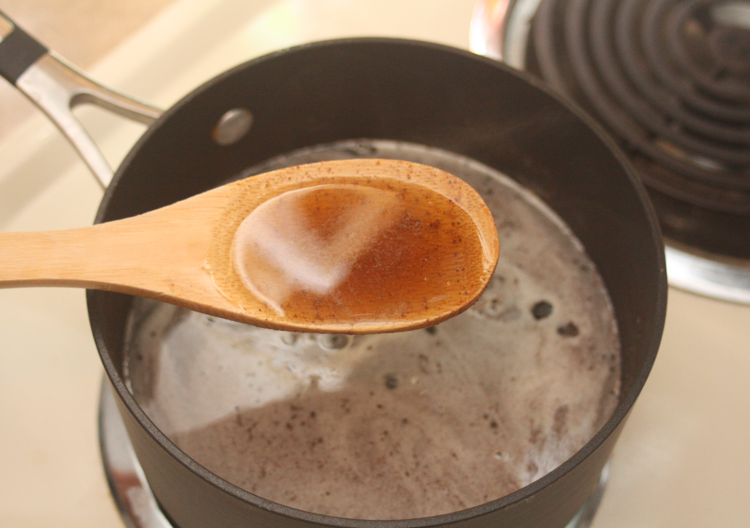 Cover and refrigerate the rest of the syrup, and remember to stir or shake it before pouring next time, since the cinnamon and nutmeg like to sink to the bottom. It lasts for quite a while, but mine never makes it longer than a few weeks. 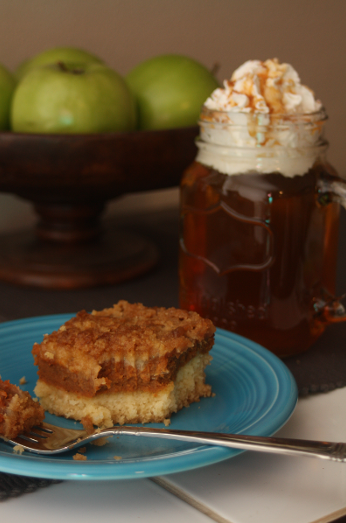 It goes great with some gluten free pumpkin crumble cake, another recipe I’ll have to share soon! Hi Lisa! 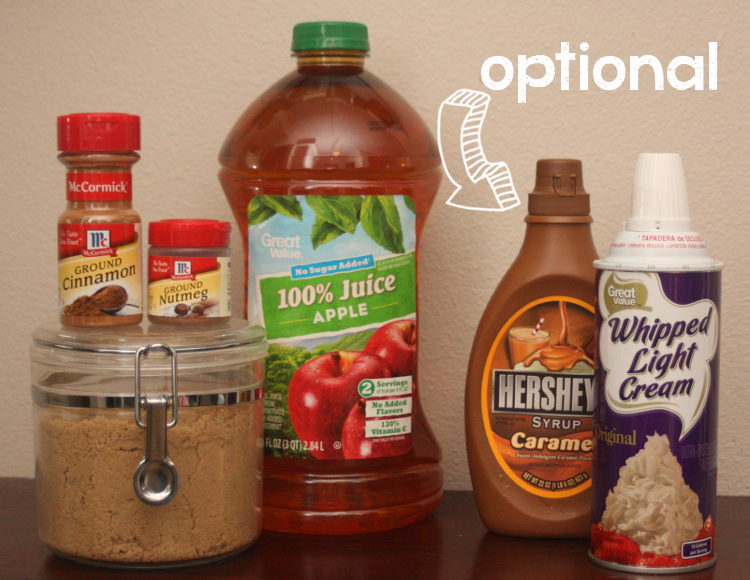 I’m currently making this syrup (SO excited to try it because it smells AMAZING), but I got scared and wanted to double-check 🙂 Is it 3 TABLEspoons of cinnamon? Mine is looking darker than your picture, so I just wanted to double check! Thanks!!! Lisa, I am definitely going to try this! 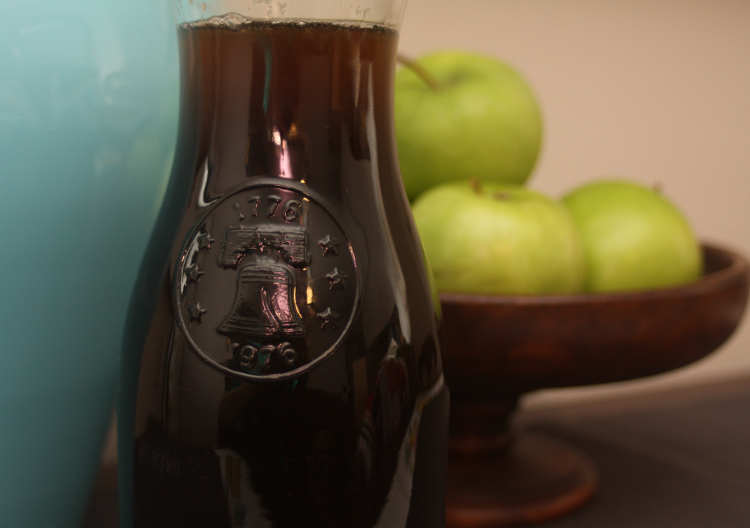 Starbucks recently was dropped from our budget, too, and this is the drink that makes me love colder weather. Thanks for posting! This makes me so happy! 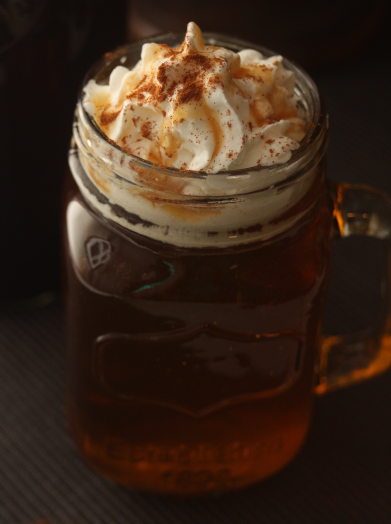 I’m currently trying to cut out dairy which means not a lot of fun fall drinks for me… But this looks doable! Thank you so much! !